Designed to deliver quick and precise adjustments in vertical and horizontal directions by hand. 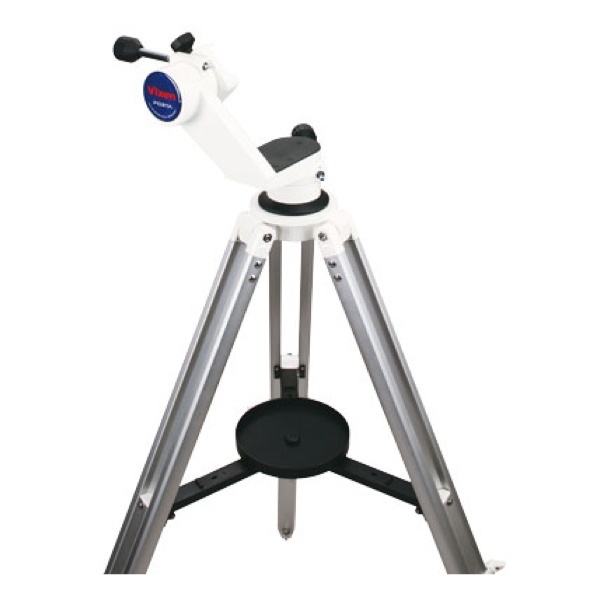 Includes fine adjustment handles for locating and tracking celestial objects. Dovetail attachment system for maximum compatability with a wide range of optical tubes. Supplied with removable tripod for quick and easy set-up. The optical tube can be moved freely by hand and friction holds its position anywhere you stop it. This allows you to quickly and easily point the telescope at celestial objects you wish to view. The mount can be detached from the tripod by removing a single screw making it very easy to pack and transport. The Porta II adjustment system offers full circle slow motion movement. Handle positions of both altitude and azimuth slow motion controls can be altered in 45˚ increments. This allows the user to set the handles for a comfortable viewing position whatever size optical tube is used. The mount is supplied with a circular accessory tray for holding eyepieces and small photographic accessories.